Electric vehicle charging network operators “will need to change their mind” on operating closed systems according to ChargePoint’s European head, as the company announces a global comprehensive agreement with EVBox to provide open access to both companies' chargers. The two global networks have agreed to open their networks to drivers across Europe and the United States in an attempt to make EV driving more accessible. Beginning January 2019, the agreement will eliminate the need to register for multiple accounts across ChargePoint and EVBox, which operate tens of thousands of public chargers globally. The roaming agreement is based on the Open Charge Point Interface (OCPI) protocol, which enables network operators to exchange key information needed to provide roaming services. The new pact follows serious commitments from both firms, who recently pledged to expand their global networks to a combined 3.5 million locations. 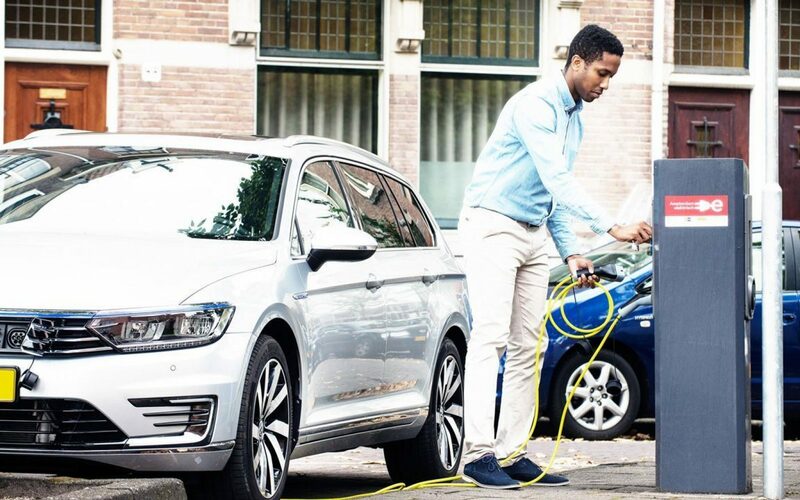 Kristof Vereenooghe, chief executive of EVBox, said: “Millions of EVs will become available globally, and with it comes the need for a global charging infrastructure. For this to work a network built upon open standards is an absolute must, therefore we are happy to announce this historic agreement with ChargePoint to that aim. The company operates over 350 chargers in the UK and Ireland, while ChargePoint’s charging units are used by network operator Instavolt, which has deployed in almost 100 locations since launching less than two years ago. Its chargers use contactless payments rather than a membership or RFID card models, which ChargePoint is rolling out across its global network to ensure drivers can use their chargers are all times. This was one of the factors cited by drivers recently surveyed by EV charging point platform Zap-Map, which found that Instavolt was the top-rated open access network (behind Tesla's dedicated charging network) on the grounds of ease of use, contactless card payment and access. Speaking to Current± ahead of today’s announcement, ChargePoint's managing director for Europe, Christopher Burghardt, said: “What we want to do is make it extremely easy for people to use the infrastructure. "Players in the UK will need to change their mind"
However, this view is not shared by competing networks in the UK, many of whom operate closed systems to retain loyalty to their chargers. This, Burghardt argued, is not the best route to maintain customers. “The UK market has developed in a very interesting manner, I think it's actually a very advanced charging market in terms of deployment, but the fact that there are a number of closed networks does not help the consumer,” he said. “To us, closing up our network will not create loyalty, it would create fears of lock-in. What we want to show people is that they can chose to be part of our network and we will do everything to keep them in our network and create loyalty by offering them a better service than they can get somewhere else. “But we're not going to lock the door on them and strand their investment if they decide they want to go somewhere else…The other players in the UK will need to change their mind over time. Closed systems, he added, amount to the same fears around range anxiety that is often held up as the key barrier to entry for potential EV drivers. While fears remain that there is not enough charging infrastructure on the public network, the fact that some of those available would be inaccessible without an existing commercial arrangement also provides “a barrier”. For those seeking to ensure their ChargePoint chargers are available for private use within ‘closed environments’, such as fleet operators, there remains flexibility in that they can chose when to provide open access to the wider population of EV drivers. This also provides an opportunity for additional revenues as these operators can set pricing for these open periods. Following the announcement of the new agreement, both ChargePoint and EVBox will be looking to promote open access to other charging network operators. They hope to work towards ensuring that this becomes a standard operating model, with ChargePoint already looking to approach its UK competitors on the issue. “We will be talking to Chargemaster and Pod Point as much as any other network about roaming with them and we hope they will be open to that because I think it can only benefit,” Burghardt continued.